It’s a long way from Mankato, Minnesota, to the Central Coast of California, but Stephen Ross Dooley harnessed the tailwinds of passion and heeded the pull of the grapes. Here’s what happens when the whisper of a passion becomes the clear voice of a life aligned with purpose. 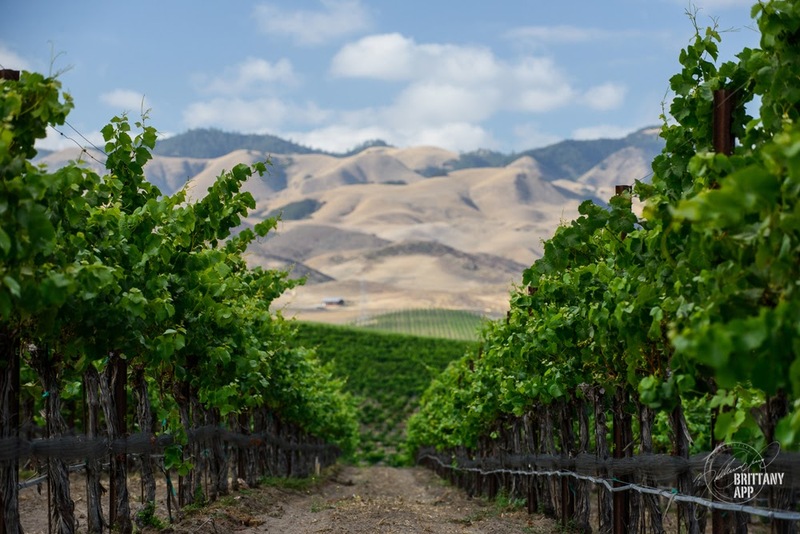 With a foundation of 40 years as a winemaker, Stephen Ross Dooley creates exceptional wines in the winery located on the south side of San Luis Obispo. This simple yet profound phrase has been Stephen Ross Dooley’s calling since he was a child making apple and rhubarb wines in the basement of his family’s home in Minnesota. From a childhood fascination in combining the art and science of winemaking, Stephen R. Dooley has become a winemaker known for his exceptional, nuanced wines. Now, after 40 harvests – with two in the southern hemisphere – Dooley’s alchemy of grapes, water, air, and time, strengthened by his wife Paula’s shared passion for wine and the support of his dedicated winery staff, have created the magic that fills the bottles at his renowned Stephen Ross Wine Cellars. “Are you sure we’re going the right way?” Andrew asked as we passed an emu living in the backyard of an old homestead on Suburban Road. Like a piece of rare blue sea glass hidden among gray and green beach pebbles, Stephen Ross Wine Cellars is tucked into a mixed-use area on the southern edge of San Luis Obispo. Housed in a two-story sage green building, the tasteful sign hanging outside confirms we’ve arrived. As we open the door, we breathe in the satisfying aroma of wine; any residual, random, and pointless worries swirl away. This is a good place to be. Stephen Ross Wine Cellars’ winery and tasting room opened on Suburban Road in San Luis Obispo in 2008. It’s 10:00 on a rainy Friday morning, and the tasting room crowd won’t arrive for another hour or two. Stephen and Paula Dooley walk down the stairs that lead from the second-floor offices and welcome us to their winery. This is where the magic happens today. But it didn’t start here. It started in 1977, when the crew at Louis Martini (Napa Valley’s oldest vineyard producing renowned Cabernet Sauvignon since 1933) had finished bringing in the harvest of 7,000 tons of grapes. Among the crew is newcomer Stephen Dooley. This harvest is especially significant for Dooley: it’s his first harvest in what will become a long and storied career in the wine industry. It also confirms his path: this is what he’s meant to do. After graduating from high school in Mankato, Dooley attended Mankato State University and majored in biochemistry. He then headed west to the University of California – Davis to earn a degree in Enology. 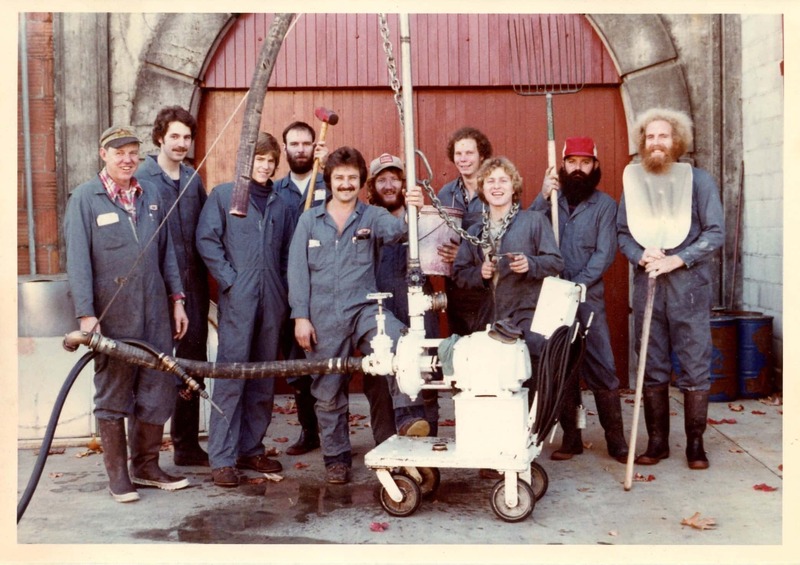 The 1977 harvest crew at Louis Martini in Napa Valley, and Stephen R. Dooley’s first of 40 harvests so far. He’s the tall one on the left with the mustache. “For the next 10 years, I worked in Napa Valley making wine and also worked two harvests in South America and Western Australia,” said Dooley. He made his way south from Napa Valley to the burgeoning wine region of Edna Valley. “After returning from Western Australia in 1987, I was an unemployed winemaker, and the winemaking position at Edna Valley Vineyard in San Luis Obispo caught my attention,” he said. At Stephen Ross Wine Cellars, we believe elegant wines start in the vineyard and are guided into perfection by a skilled, passionate and committed winemaking team. As we join Dooley at the beautiful plank table tucked under the stairwell, we learn that he made it – he’s a master woodworker and a master winemaker – and we learn a bit about this space and the wines that call it home. 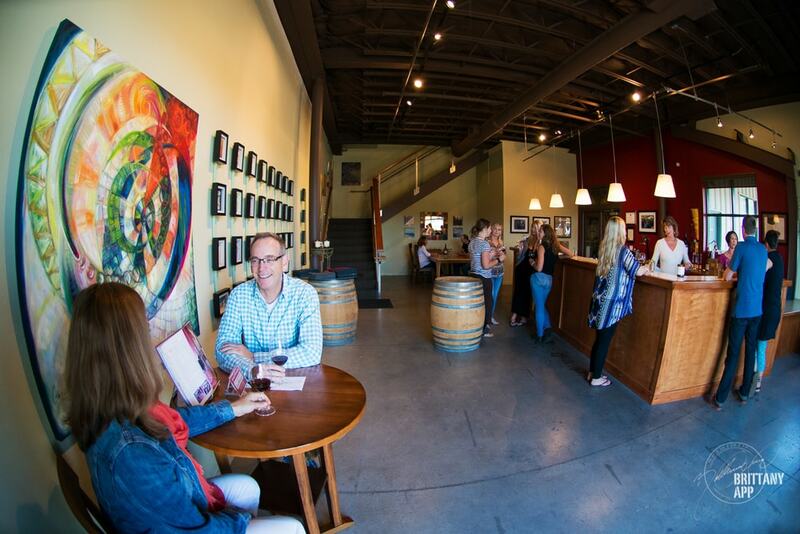 Stephen and Paula Dooley created the tasting room at Stephen Ross Wine Cellars to provide an inviting place for people to enjoy spending time while enjoying their wines. The room’s integral design elements showcase the wine. 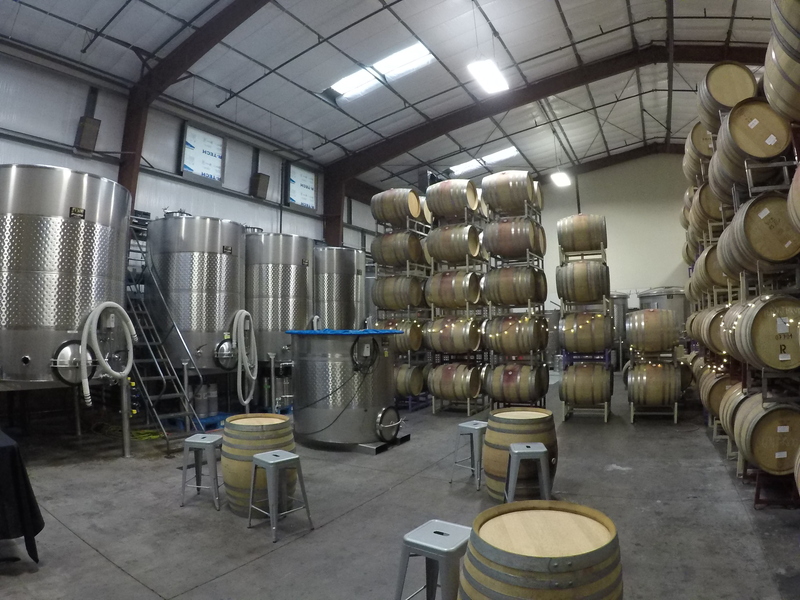 The tasting room looks into the winery, where 650 barrels hold this year’s vintages of the Stephen Ross label estate Pinot Noir and Chardonnay, as well as Pinot Gris, Albariño, Grenache, and Zinfandel. Today, Stephen Ross Wine Cellars produces about 16,000 cases of wine annually. About 5,000 cases are made for the Stephen Ross label, and another 3,000 cases are made for the Flying Cloud label, which was launched in 2003. Paying homage to Minnesota roots with the Flying Cloud label, named after the small airport in Eden Prairie. They also make 8,000 cases for Jackhammer, and produce wine for four other wineries. With 40 harvests (so far) under his belt, how has his winemaking – and the winemaking industry as a whole – changed over the years? 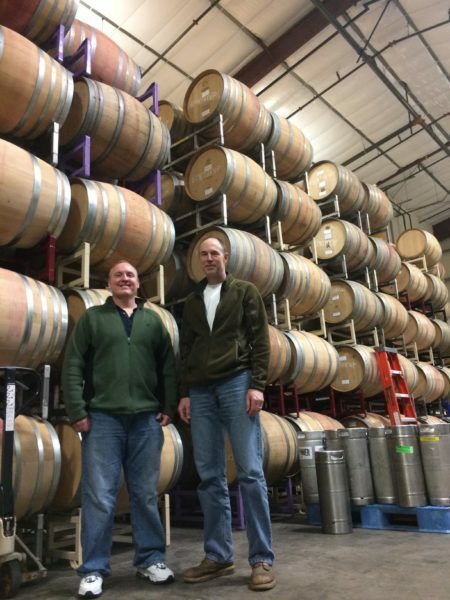 Cases in point: concrete fermenters are coming back, alcohol content is going down, levels of oak influence are decreasing, and more natural wines are being produced without added yeasts and yeast nutrients. 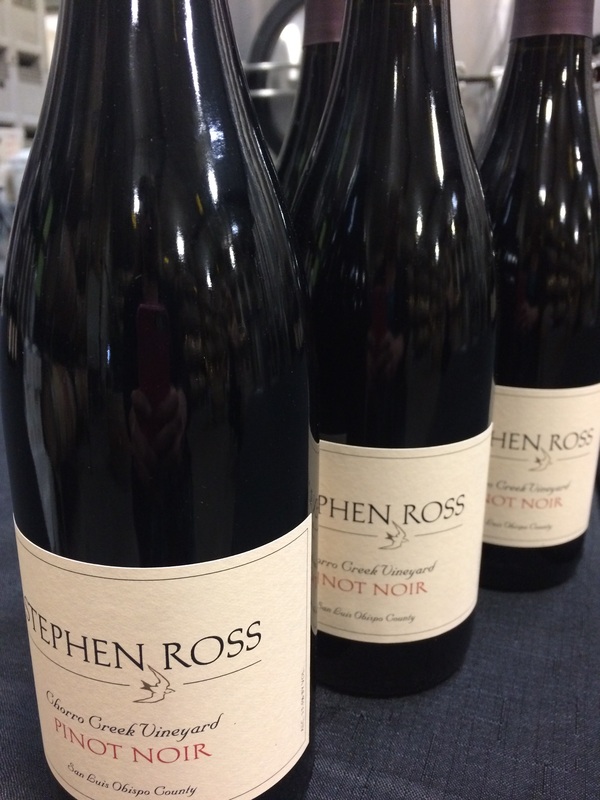 Stephen R. Dooley creates remarkable Pinot Noir. Visible from the tasting room, the winery’s 650 barrels hold the next vintage of Stephen Ross and Flying Cloud label wines. Dooley’s decades of experience and innate talent as a winemaker allow him to experiment and adjust the winery’s processes with a science-meets-art approach. Like any master, when the foundation is unshakeable, it allows for creative expression and experimentation. Making great wine is a given at Stephen Ross, based on years of honing the technique and process to a razor’s edge of perfection and predicable outcomes. This established process allows Dooley to adjust elements to reach desired outcomes. Stephen Ross was founded on the principle of working with quality vineyards and hand-crafting the best wines possible from the grapes they yield. 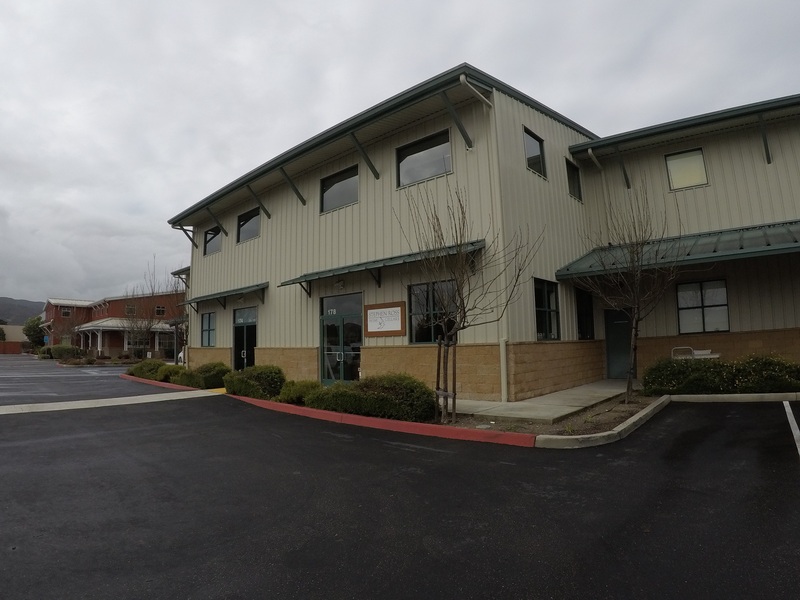 The winery started small, grew as financial resources allowed, and we stuck to our principles in winemaking and business – great, small production wines, solid business practices, and a nice, engaging place to work for our crew. As an example, over the past few vintages, Dooley has been working toward fully unfiltered wines (except for the aromatic whites). Of course, this decision was made knowing it affected several steps in the winemaking process. For the 2015 vintages, all wine except aromatic whites will be unfiltered. For 2016, all Stephen Ross wine will be unfiltered and with no added yeast. Surrounded by the fruits of his labor, Winemaker Stephen R. Dooley shares his world with Flavor Team member Andrew. Dooley is also adjusting the amount of whole clusters used in the fermentation process. “Right now, we’re including 25% whole clusters with stems and berries,” he said. In comparison, some Burgundian wines use 100% whole clusters. “Using whole clusters assists with carbonic maceration, where the whole berry in effect self-destructs and fermentation can take place without using yeast,” he explained, when contrasting this approach to the more typical process of crushing the grapes to extract the juice and adding yeast to start fermentation. “The whole clusters aid fermentation, and the stems add tannins and fix the color,” he added. The use of stems can also vary greatly, ranging from no stems, to 25%, 50%, and 100%, and then to 100% dried stems. The whole clusters are put in the fermenter first, then destemmed fruit goes on top. 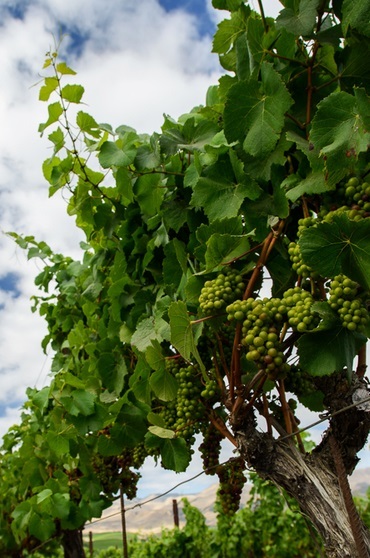 Similar to organic farming, where rainfall, temperatures, days of sun or clouds, and so on affect the quality and yield of a crop, winemaking changes every year, too. The condition of the grapes resulting from drought or wet years influences the wine and the processes used in coaxing the best from what Mother Nature has provided. We all know the term “terroir” – the place in which the grapes grow, including the sun, the soil, the rain, the air – all the vital elements that create the grapes that then create the wine. But are people part of the terroir? In the book, “The Hidden Messages in Water,” researcher Dr. Masaru Emoto showed that water molecules respond to music, compassionate words, and a nurturing environment. While this concept is pretty far out there, could it be that grapes, on their journey from vine to bottle, respond to the people working in the winery? But at Stephen Ross Wine Cellars, it’s clear that everyone at the winery shares the passion and dedication to creating elegant, quality wines. 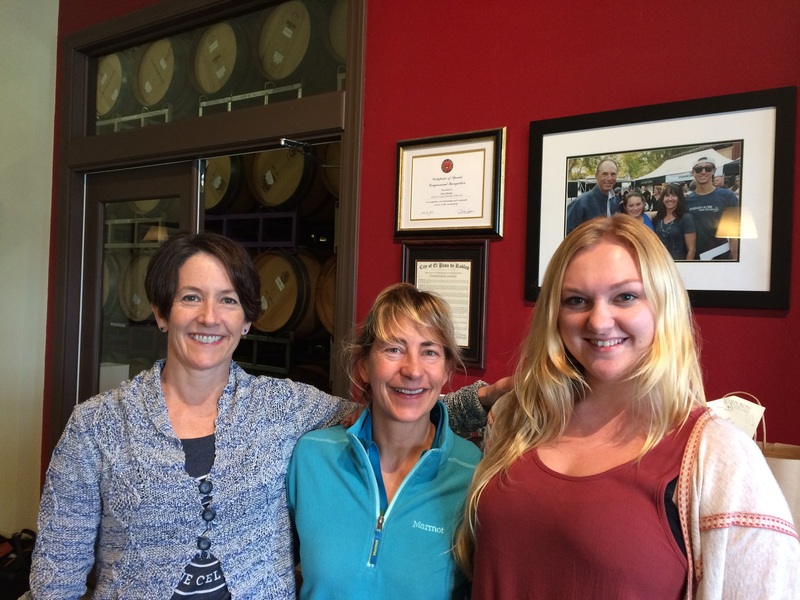 Paula Dooley, co-owner and business and operations manager, and Sarah, tasting room manager, welcome Flavor Team member Kara and all visitors to experience the joy of winetasting at Stephen Ross Wine Cellars. “We have the best people here,” said Dooley. All the wine cellar staff are Cal Poly enology graduates or current Cal Poly students in the enology program. This year marks Dooley’s 40th anniversary of making wine. Instead of the getting the feeling he’s coasting toward retirement or complacency, Dooley extends the opposite energy. He’s continuing to learn, experiment, grow, and he’s loving every step of the way. It’s clear that the fire of Dooley’s passion for winemaking, first kindled by creating fruit wines in Minnesota, stoked by his early years in Napa, and growing stronger every year for nearly 25 years at Stephen Ross Wine Cellars, is captured in every bottle of wine. We can’t wait to see what develops inside the bottle and out. 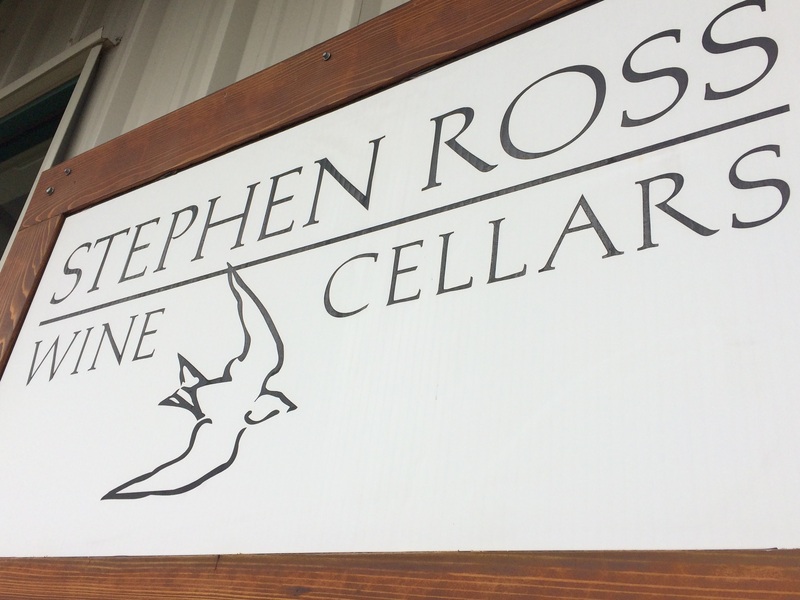 Have you visited Stephen Ross Wine Cellars? 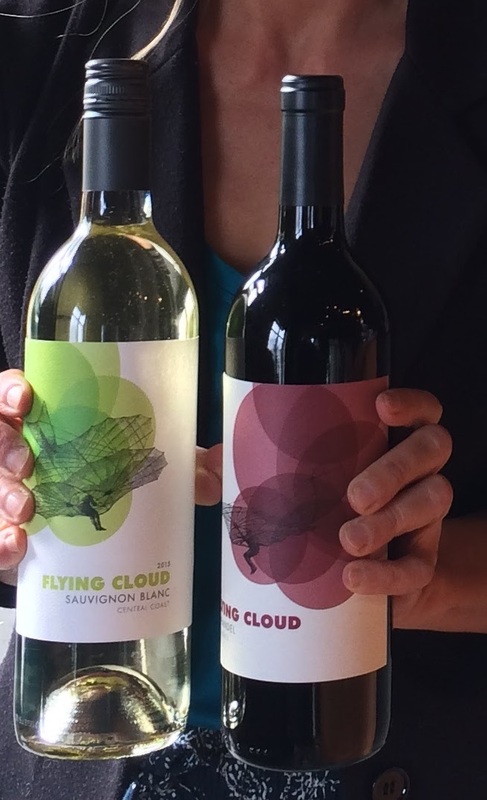 What’s your favorite wine of the Stephen Ross and Flying Cloud labels? Do share and leave a comment here or on our Facebook page. The Flavor Team will see you there soon. Stone Corral vineyard, one of the places where Stephen R. Dooley begins turning sunlight into wine.